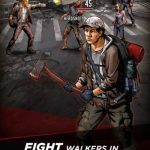 The Walking Dead: Road to Survival is Scopely’s new role-playing game based on the popular graphic novel series and TV series. And last time, we gave you a list of tips and tricks for the game, offering some useful strategies you could use in order to handle the zombie apocalypse, as well as some hints on how to level up your characters. 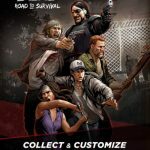 As a refresher of what this game is about, your goal is to put an end to the Governor’s tyranny, building up your own team of survivors, including some of the series’ most iconic characters. While doing this, you can equip your team with weapons, and even fight off other survivors, albeit those controlled by other humans. 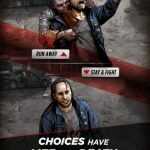 As Scopely says, it’s all about “kill or be killed” as you try to survive the zombie apocalypse. It is important for your heroes to have the right ingredients so you can upgrade them. So with that said, this set of The Walking Dead: Road to Survival hints, tips and tricks focuses on how to gather most (but not all) the ingredients and gear that you need. Take note that these ingredient and gear locations aren’t the only places where you can find the ingredients, but rather the usual places you can go to if you want to find them. We still don’t have any details on gear that can only be found at Special Locations, but for now, this is where you can get most of the key ingredients and gear items your team will need, if you want to keep them leveled up and in fighting condition against the zombies.